The Ramp People are best-known for their popular ranges of access ramps, which make it easier to get in and out of buildings and over thresholds in a wheelchair or on a mobility scooter. They have now added wheelchair vehicle lifts to their repertoire, designed to make a vehicle easily accessible in a manual or powered chair. The lifts are manufactured in Italy using high quality materials. They have a double arm design, and are completely automatic. They can be installed inside the rear or lateral vehicle door and are controlled by a cabled handset. These lifts are safe and easy to use and they are available with different types of platforms and measurements. There is one model especially designed for adapting smaller vehicles, which offers a reduced weight and dimensions. Its loading platform folds horizontally, leaving the driver’s rear view completely clear. 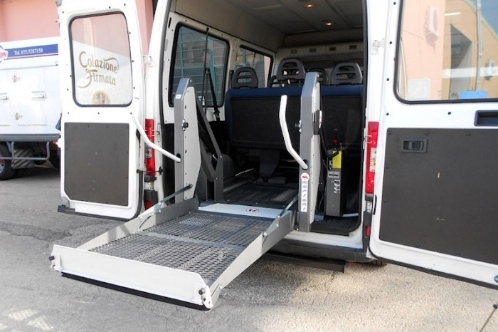 This article was sourced from the website Independent Living UK (full copy) and the original article can be found at New Wheelchair Vehicle Lifts.